If you are located in the Harleysville Dentistry area and are missing teeth, then Harleysville Dentistry may have a solution for you. Whether it’s just a few, or even all of your teeth that are missing, we want to help you regain your confident smile and restore the chewing capability to its fullest potential. Each of our highly-trained dentists is skilled in cosmetic and restorative dentistry and we know what it takes to produce a set of dentures that are comfortable and make you look and feel your best. What Kind of Dentures Do I Need? At our Harleysville dental practice, we provide patients with partial, full, or implant-supported dentures. Partial dentures are molded to fit the gaps made by missing teeth, whereas full dentures are used when a person has no teeth left in an arch. If you choose partial or full dentures at our Harleysville dental practice, then you will see us over the course of several appointments. This is because the dentures need to be made from a mold of your mouth so that the dentures fit neatly on the gums and against any other teeth you may have. While full or partial dentures may cause some irritation or difficulty with chewing when they are first put in place, most people get used to them very quickly. Our Harleysville dentists will also provide you with care instructions for your dentures so that you can enjoy them as long as possible. You will have to come in for regular visits after the dentures are fitted so that our dentists can ensure that they are in good shape and do not need any additional reshaping. We also offer implant-supported dentures for those patients who are determined to be good candidates for the procedure. While partial and full dentures sit directly on the gums, implant-supported dentures are fixed to a dental implant. This type of denture is used when a person does not have any teeth in the jaw but has enough bone density in their jaw to support dental implants. We provide attachments that help the dentures append to the implants installed in your jawbone. While these types of implants are typically used in the lower part of the jaw, we can also offer implant-supported dentures for the upper jaw. This procedure takes a few months, as the dental implants need to fuse into the jawbone through a process called osseointegration. Our dentists will provide you with detailed care instructions and will schedule follow-up visits at our Harleysville Dentistry offices so they can ensure that your implant-supported dentures are in good shape and are not causing you any irritation. Questions about Dentures? 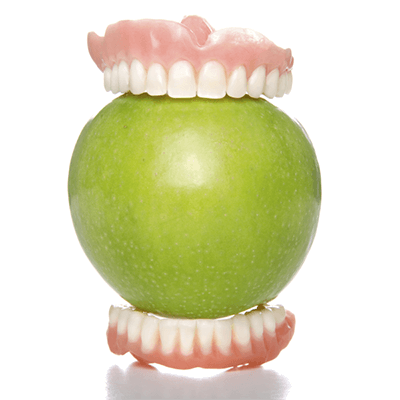 Ready for a Denture Consultation at Harleysville Dentistry? If you would like more information about partial, full or implant supported dentures in Harleysville Dentistry, you can contact us online or by phone for a consultation. Contact us today and let us build a custom treatment plan to restore your smile.